Hey Friends! I hope you’re having a great week so far. Summer is blazing all around us and we are doing our best to enjoy every spare moment we can. 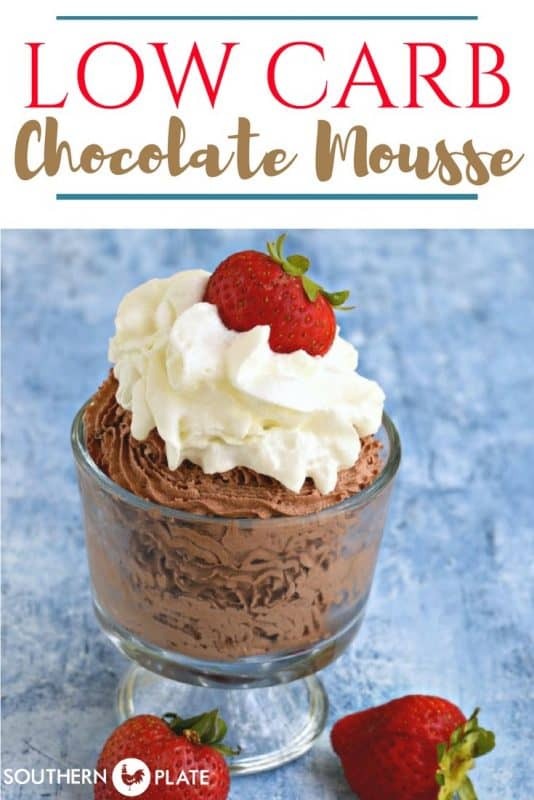 I had a great time teaching my Low carb southern class last weekend and when we got to talking about quick and easy treats I mentioned this Chocolate Mousse. There was so much interest that I occurred to me it might be a good recipe to post. This is a recipe for one but it can easily be doubled, tripled, or even quadrupled for two or more. You can make it with regular sugar or you can use your favorite sweetener (as I do) for a low carb dessert. It takes all of one minute to make and really helps fill that need for chocolate that rises up from time to time. To make this, you’ll need Heavy Cream (same thing as whipping cream), cocoa powder, vanilla, and sweetener of your choice or sugar. Most folks would tell you to whip your cream first but I’m all about simplification and getting mess done, so let’s just throw all ingredients in a large mixing bowl at the same time, then beat on high with an electric mixer until stiff peaks form. If you don’t know what that is, just basically wait until it gets so thick that after the beater moves through it, the ridges where it went are still visible and don’t fall back down. You need to sweeten this to your taste. I will tell you right off that mine is just lightly sweet so you might want to add a bit more sweet stuff. Serve immediately or cover and refrigerate. Best if consumed within one day of preparation. Beat with electric mixer until stiff peaks form, scraping down sides as needed to make sure all ingredients are fully incorporated. Serve immediately or cover and refrigerate. Best if consumed the same day it is made. Top with whipped cream, if desired. Oh, my goodness!! Heavy cream is going on my shopping list! Thank you so much for sharing this! You are so welcome! I hope you enjoy!!! What is nutrition facts for a serving? You can calculate those at myfitnesspal.com if you like, there are also several apps and such. I don’t offer nutritional calculations here because my readers have different serving sizes, substitute ingredients, measure differently, etc. Oh My Goodness! I know what I’m making tonight! Many thanks. LOVE your cookbooks by the way. On the top shelf of a bookcase, that’s the place of honor. Thank you so much Dana!!! I hope you enjoy the Chocolate Mousse!! 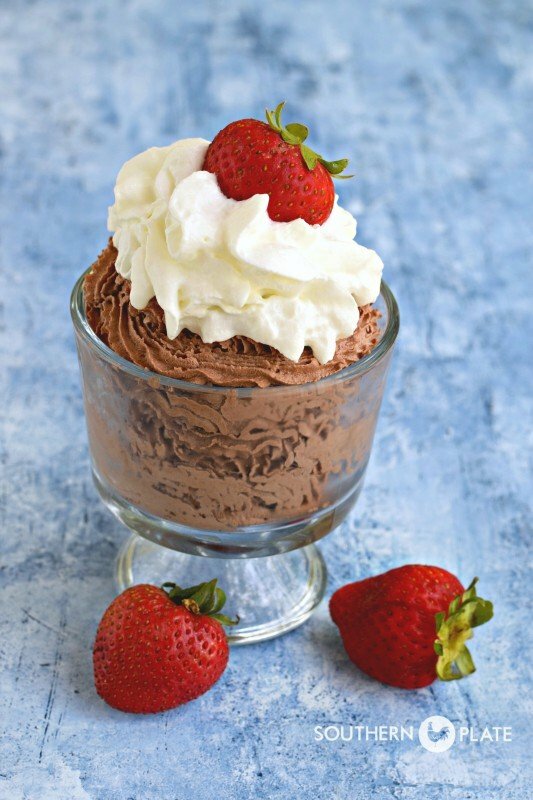 This will be ideal for those chocolate cravings! It does hit the spot on those days Joanne!!! Who doesn’t like chocolate and cream? 🙂 I hope you enjoy it Heather!! This is a wonderful quick fix. How many carbs are in this? That is going to depend on what sweetener you use but with so few ingredients it should be simple to figure up. Yay! A treat for my diabetic self and my diabetic niece! We can’t wait to try this one out. Yum. I hope you both enjoy it Laura!! How did you know that I just got a container of cocoa powder last week ??? Can’t wait to try this !!! 🙂 I can’t wait to hear what you think Debbie!! Could this be used as a pie filling (even though it would no longer be low carb)? Sure! And for a pie crust, to keep it low carb, try mixing a cup of almond meal, 1/2 stick melted butter, and a tablespoon or so of sweetener. It’s delicious! Make this sometimes in my magic bullet. I want to try this with black cocoa. I’m hoping it will taste like oreos. Thank you, thank you, thank you! Will be great in this heat wave in Okeechobee,Fl. I hope you get the chance to soon Elaine!! 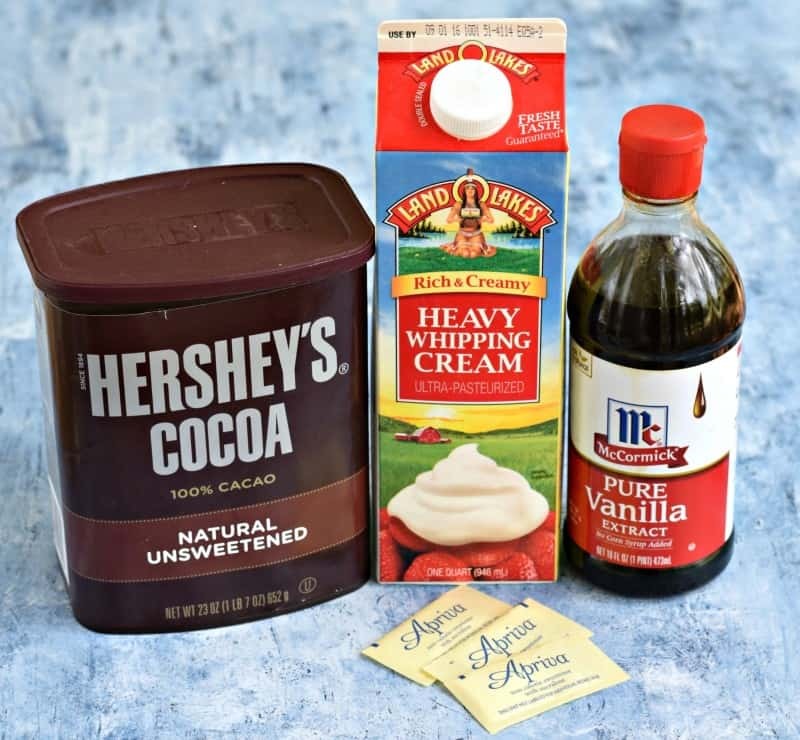 WSill it work with fat free cream, I’m on weight watchers and although the cocoa is minimal the heavy cream adds a lot of points to it. This is a tasty treat for those of us who are on low carb, no sugar diets. You came through again, Christy! Thanks! I get migraines from chocolate, is there any way that this could be made in vanilla or another flavor and what would you use in place of the cocoa powder? Thanks! I’ve only made it with cocoa powder so I can’t give personal experience recommendations but it can certainly be made with other flavors and ingredients. I’ve seen folks use kool-aid powder even! I’ve seen a similar recipe that used sugar free instant pudding rather than the cocoa so that might be an option for you to try. I bet you could use peanut flour instead! I realize your comment is a couple years old – but you can successfully use carob powder in place of cocoa powder. My father-in-law is on an anti-inflammatory diet and uses carob in place of cocoa powder regularly. The flavor profiles are very similar, if not identical. Good luck! This is great information to know, thank you! Thank you Christy. Keep the low carb recipes coming. After I read your low carb Posts in May, I decided that was a new way of eating for me. It has been a success for me. Thank you. I am so glad to hear you are doing well with it Geyna!!!! I made the mousse tonight after drooling over the recipe for the last two weeks. It was delicious and turned out perfectly. It did make a good bit so will cut the recipe in half next time. Thanks for the recipe! I am so glad you liked it Bonnie!! Thanks for this recipe Christy. I have made this twice already. It was so good and easy to make. 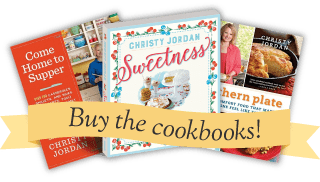 I am so looking forward to your new cookbook! Thank you Anna, so glad to hear you like it!!! Just made it! You inspired me to try low carb. 20 # so far and rarely hungry. Thank you! Is this a good dessert for diabetics? (I’m sure I should know this myself but I am not sure.). Thanks. I just made this, and WOW! Sooo good and easy! I did add another pack of Truvia sweetener, and a bit of Baily’s Irish Cream. Thanks so much! Made this and loved it so good. I am so glad to hear that you liked it Jennifer!!! Thank you for giving it a try! I made this today and it was a winner in my house. Very delicious. Thanks for sharing. i was google searching for this recipe as my daughter will be 50 something on 5/2 and believe ONLY she is subject to her birthday foods/lunch/dessert. Others can donate and/or provide for more delectable eating on her special day. Thank you for the FOR ONE recipe. I am almost 70 myself and there are times when in only need recipe(s) FOR ONE as well. Thank you for sharing your heritage and passed down delights. 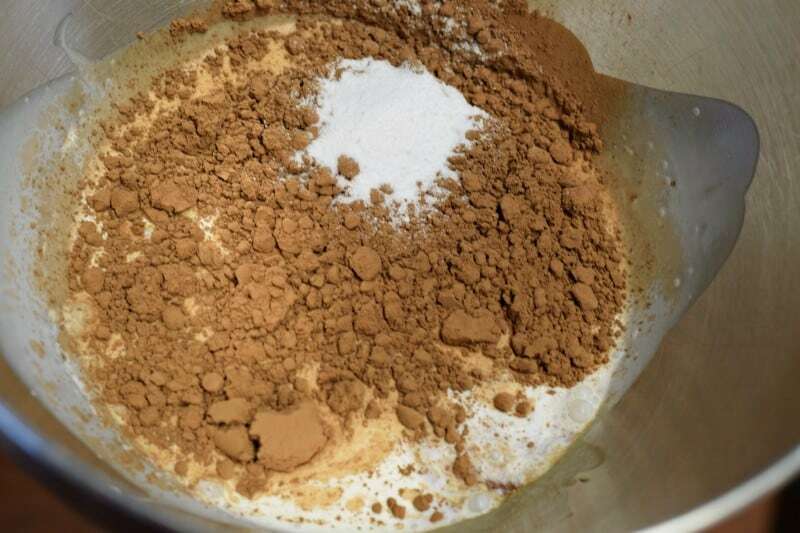 Is there a chance it’s supposed to be 3tsp cocoa powder? With 3Tbsp it was a little bitter and that’s with extra sweetner. It was less bitter the next day after refrigeration. I’m about to try again with 1Tbsp cocoa powder. I expect that will be great! I do like it better with 1.5Tbsp, so maybe it’s just me? In any event, thanks, it’s great! SO good! Put raspberries in it!! Oh, that is going to be good!! Can I double recipe and use pure cane all natural sugar ? I can’t see any reason why you couldn’t. Let me know how it turns out if you try it!! I just made this low carb Choco Mousse by using 170g all purpose cream (which is what I only have at the moment), 1T unsweetened cocoa powder, 2 packets stevia, 1/2 tsp vanilla essence & just sprinkle cinnamon on top, and it’s really good! Enough to satisfy my sweet cravings. I am so glad you liked it Mary!! Thank you for giving it a try! Good Luck on your journey Gay!! I will have to see what I can do about coming up with a few more.